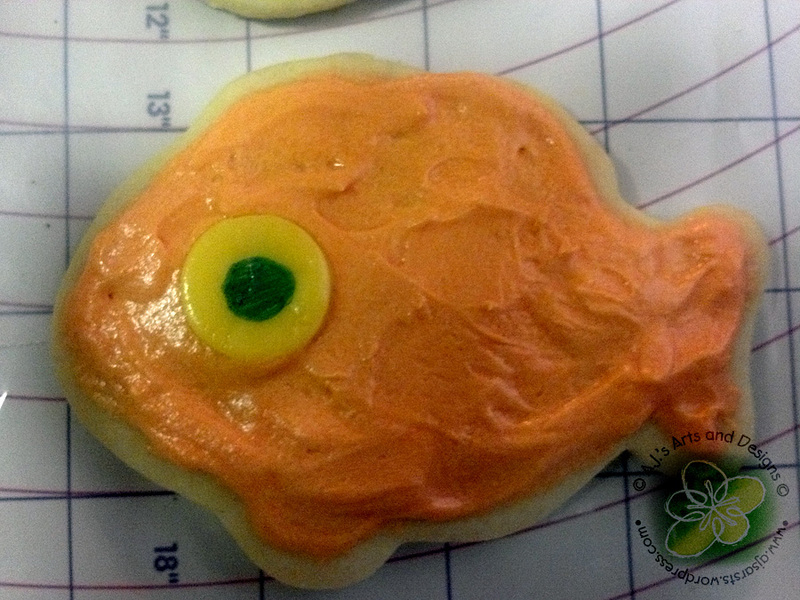 50 Fish Cookies… | Who Are You Calling Crafty? It is the last week of school and I have been running around like a mad women! My last party for Kindergarten for the Princess so I had to make my signature sugar cookies! This time I decided to experiment with Starburst Candy! 1. Bake cookies – Sugar Cookies. Allow them to cool! 2. Take Starburst and roll them out. 3. Take a small cookie cutter. 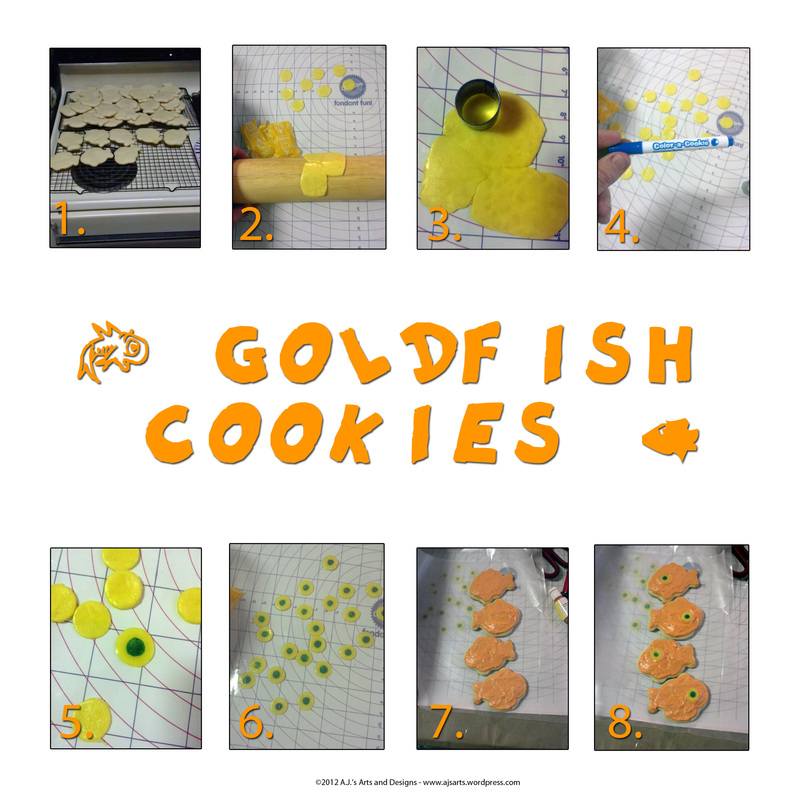 Since I bake a lot I bought a set of clay cookie cutters that I use just for food. This is a 1/2″ circle. 4. Food coloring marker. My daughter got these in a kit from a friend. They are AWESOME! 5. Make a circle in the middle. Color it in. Note – kids can do this part. Mix everything together until it is nice and fluffy! 8. Add eyes. I placed mine in the fridge because it was really hot and I didn’t want the frosting to melt. I can not believe how fast the year went and how much stuff I managed to accomplish! I hope I am as productive this summer as I was during the school year!